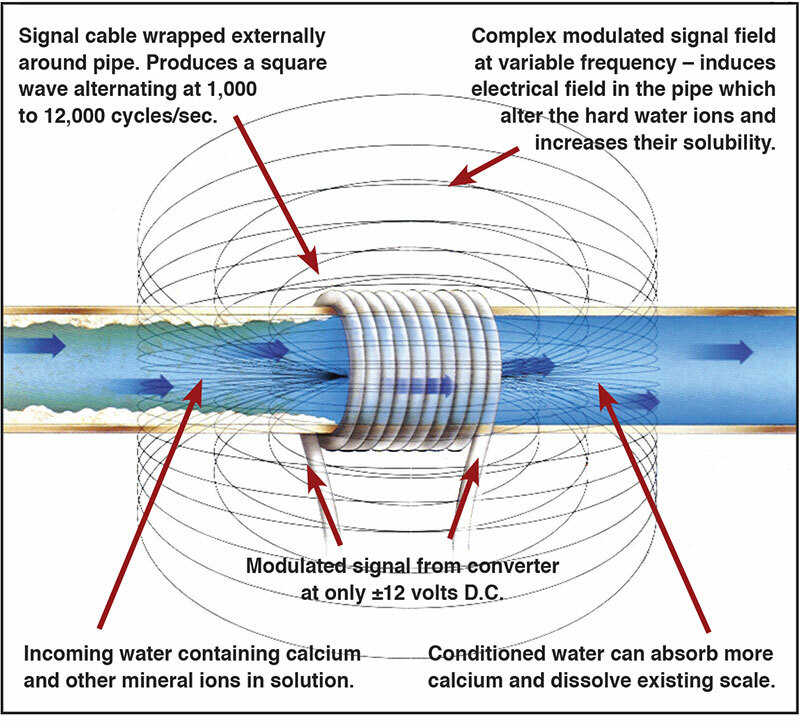 its continuously oscillating electric field changes the property of the hardness minerals so they stay in solution and don’t deposit on faucets and pipes. This technology has been studied numerous times, most recently at the University of Arizona in 2011, using the DVGW-w512 protocol. These studies produced similar results – 50% scale reduction on average confirming our own results at Vertex. In addition there is a reduction in PH of 0.1 to 0.3 in the treated water which leads to the elimination of existing scale.